When does a child need an Australian visa? Intending to travel to, enter, or remain in Australia indefinitely. The information on this page is about child visa or adoption visa options for people who want to bring a child to live permanently in Australia. In certain circumstances, a person over 18 years of age might be considered as a child. These circumstances are described in the child visa options below. 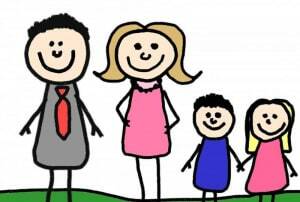 Scenario 1: A child’s parent or their parent’s partner sponsors them to live in Australia as a permanent resident. sponsored by their parent or their parent’s partner. unable to work due to disability. A child might also be able to apply for this visa if they were adopted after their parent became an Australian citizen, holder of a permanent visa or eligible New Zealand citizen. There are additional requirements that must be met for adopted children. Scenario 2: A relative sponsors an orphaned child to live in Australia as a permanent resident. under 18 years of age when applying for the visa. Scenario 3: A child’s parent or their parent’s partner sponsors them to live in Australia as a permanent resident. Scenario 4: A relative sponsors an orphaned child to live in Australia as a permanent resident. Scenario 5: A person who is an Australian citizen, holder of a permanent visa or eligible New Zealand citizen sponsors a child that they have adopted overseas to live in Australia as a permanent resident. A child who is in the process of adoption might also be able to apply for this visa. Scenario 6: A child’s parent holds a temporary partner visa, and the child was not included in the temporary partner visa application. sponsored by the same person sponsoring their parent (with limited exceptions). A child must apply for this visa if they were not included in their parent’s application for a temporary partner visa (which has been granted) and want to apply for the same permanent partner visa as their parent. After being granted this visa, the child must immediately apply for the same permanent partner visa as their parent. The child must apply before a decision is made on their parent’s permanent partner visa application. If the child does not do this, and the child is in Australia when a decision is made on their parent’s permanent partner visa application, the child could become unlawful and might have no other permanent visa options available to them.